Windy & Dusty Today...Windy & Cooler Mon. 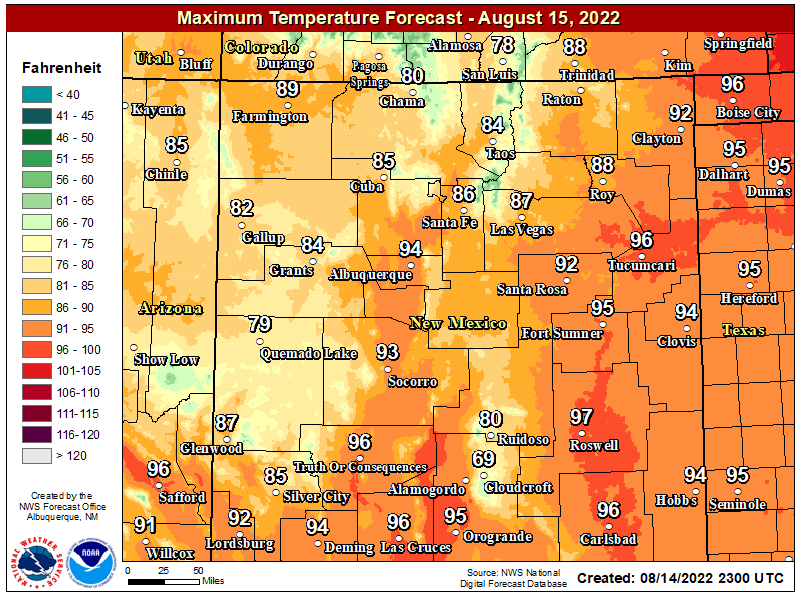 High temperatures across SE NM yesterday were in the mid-upper 80's. 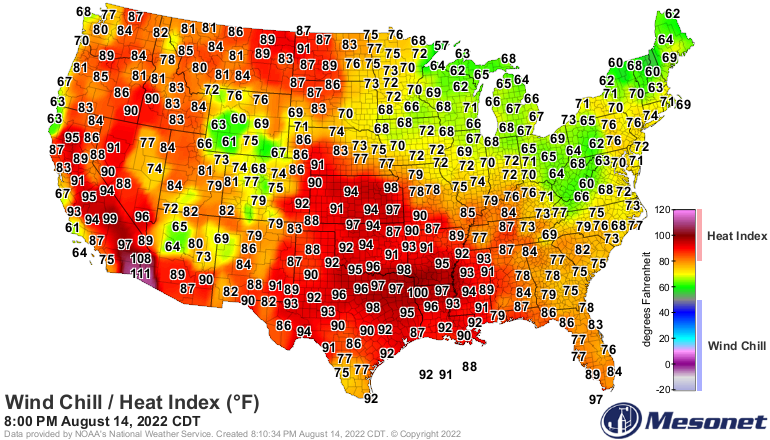 The Carlsbad Airport reached 89, the Paduca Raws 89, my home in Carlsbad 88, the Roswell Airport 86, and the Artesia and Hobbs Airports both reached 84. March can be an ugly month for us weather-wise with lots wind and blowing dust. It is going to live up to its repetition today into tomorrow. A combination of snow, high winds, and blowing dust will plaque New Mexico today and Monday. 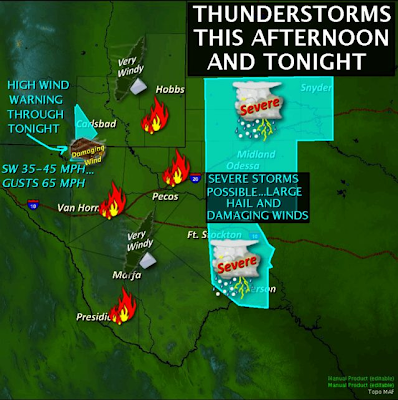 Meanwhile just to our east, our neighbors across West Texas will be dealing with severe t-storms. 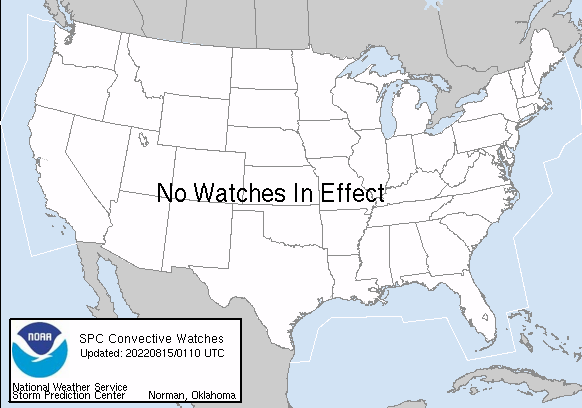 Oh the ides of our March weather. 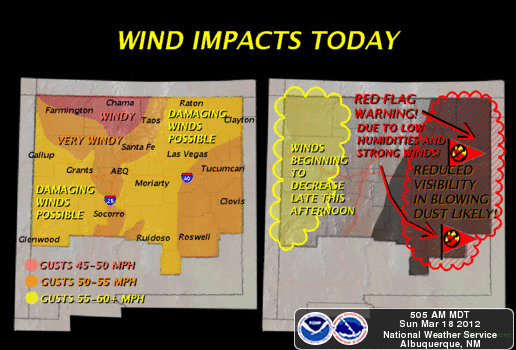 Areas of Blowing Dust are expected to develop this afternoon and continue into early this evening. Some locations may see visibilities drop down to below one mile in the blowing dust. Watch out for those normally dust prone locations over and near freshly plowed farmlands, open and exposed fields, lots, and construction sites. 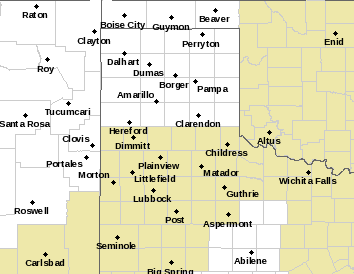 Visibilities will drop down to zero with little to no advanced warning due to the blinding clouds of blowing dust. 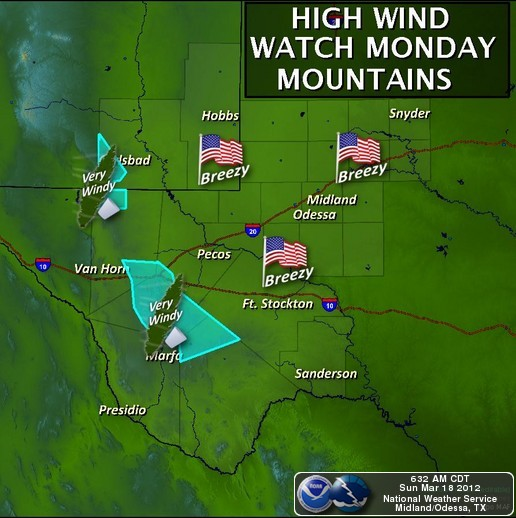 A High Wind Warning is in effect for the Guadalupe Mountains from noon today through 3 AM MST Monday. Southwest winds are forecast to increase to 35-50G60-70 mph. 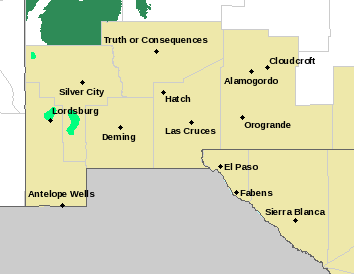 A High Wind Warning is in effect for southern New Mexico from 10 AM - 9 PM MDT today for southwesterly winds forecast to increase to 35-50G60 mph. A Blowing Dust Advisory is also in effect from noon - 6 PM MDT. A High Wind Warning remains in effect for Lincoln and southwest Chaves Counties through 8 PM MDT this evening. 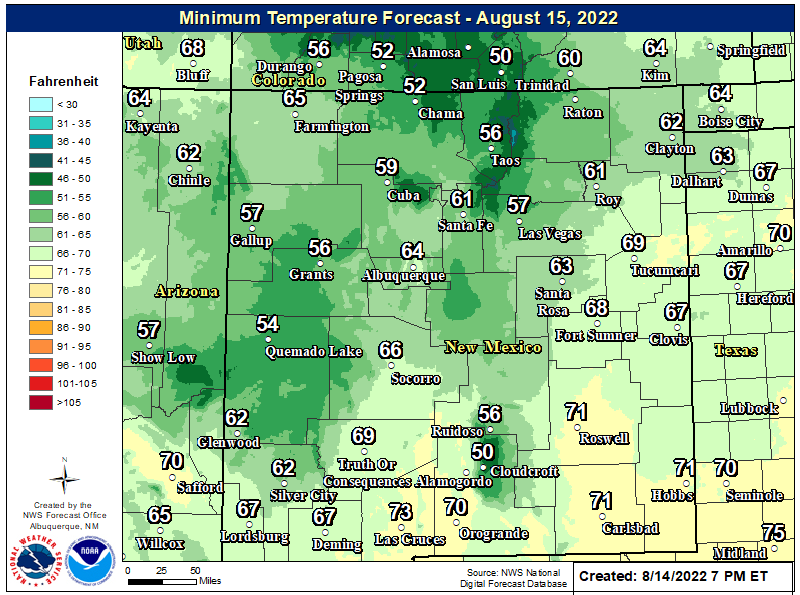 Southwest winds of 30-40G60 mph are expected. 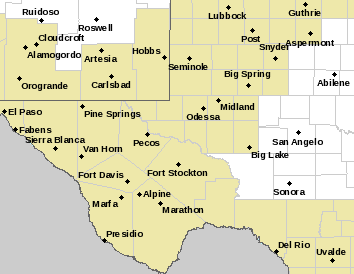 A Wind Advisory is in effect for Chaves, Eddy, Lea, and Culberson Counties, as well as across eastern New Mexico today into this evening. 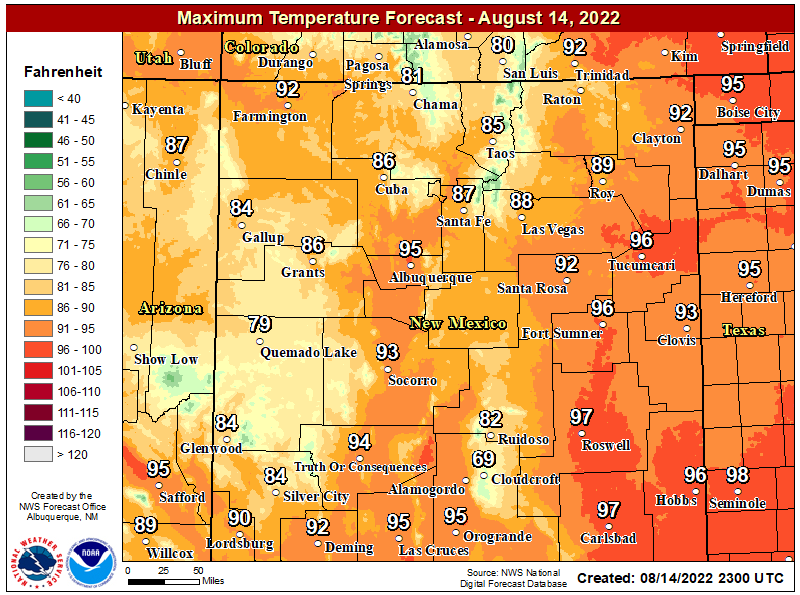 Southwest winds of 30-40G50-55 mph are expected. A Red Flag Warning is in effect for the area for today. 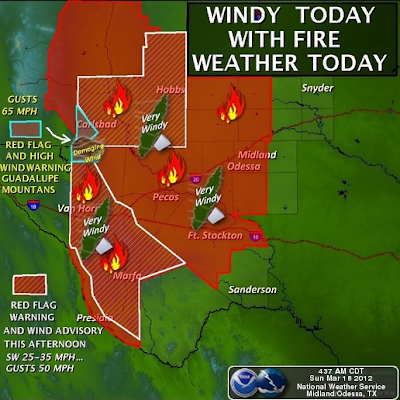 Critically Dangerous Fire Weather Conditions are forecast for the area, and any wildland fire that should accidentally start will have the potential to rapidly spread and grow in the high winds. 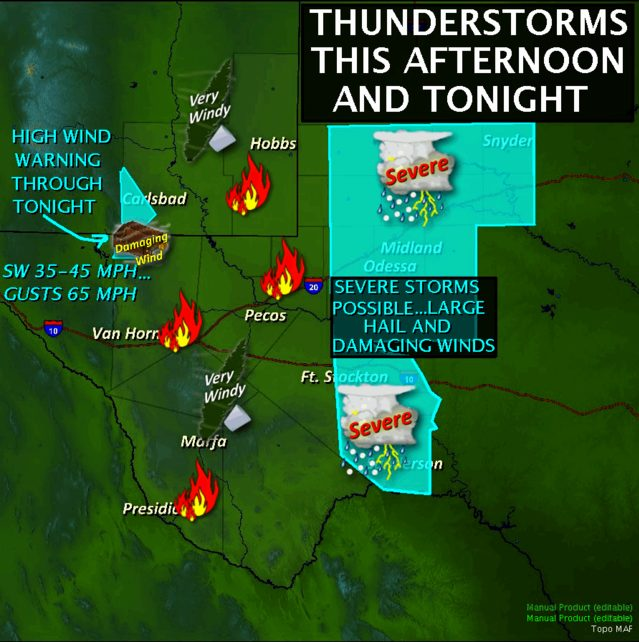 Severe t-storms are forecast to break out across West Texas later this afternoon. A few discrete supercell t-storms will be possible along and east of the dryline. 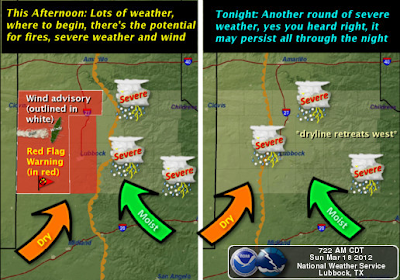 These may produce large hail and damaging t-storm wind gusts. 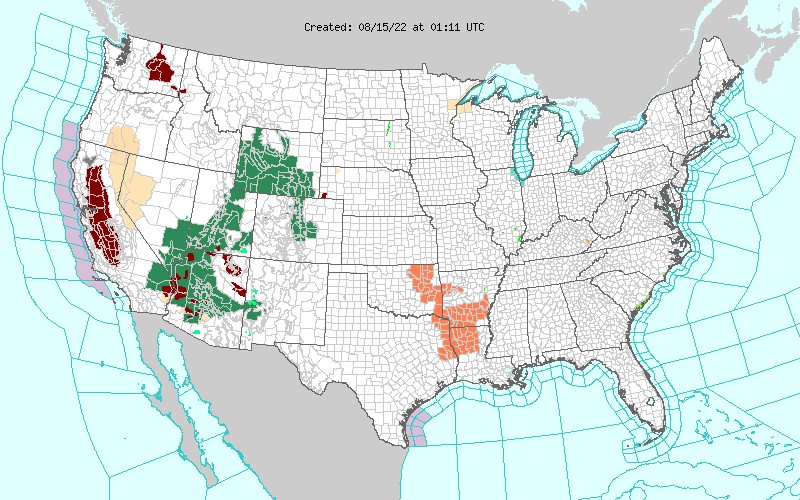 An isolated tornado or two is not out of the question either. 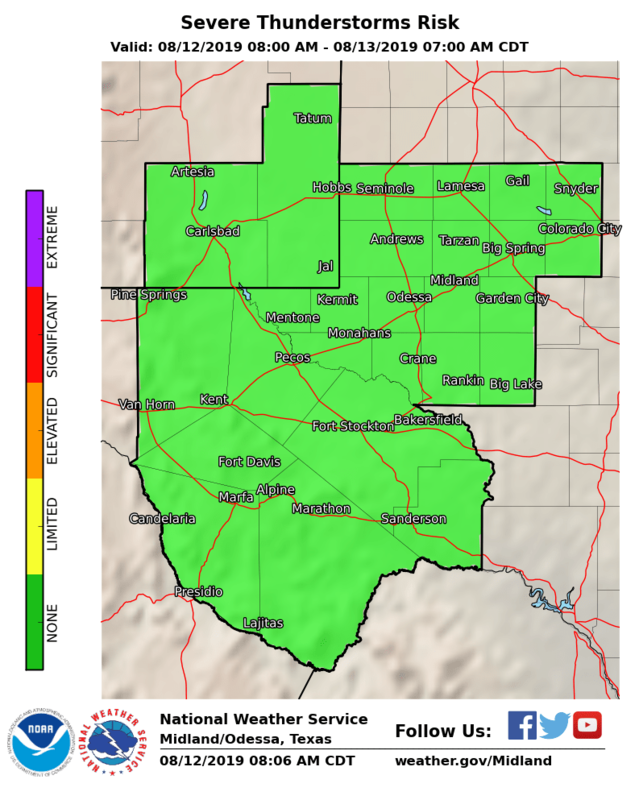 There is a 40% chance of Skywarn Spotter Activation across the Midland National Weather Service County Warning Area this afternoon. Later this evening, a Pacific cold front is forecast to overtake the dryline in West Texas. A squall line is forecast to develop along this collision of these boundaries. This squall line will then ace off to the east. Damaging t-storm winds gusts ,and large hail will be possible with this line of t-storms. Winter Storm Warnings are out for the parts of the northern, western, and southwestern mountains of the state. 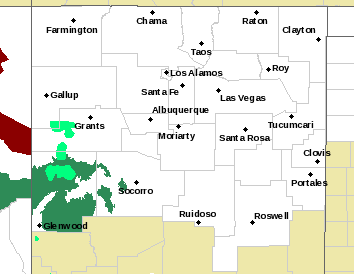 Near Blizzard conditions are expected for parts of the Gila. Snow is forecast to break out over the Sacramento Mountains today into Tuesday morning. The higher elevations may pick up 3" - 6" of the white stuff.